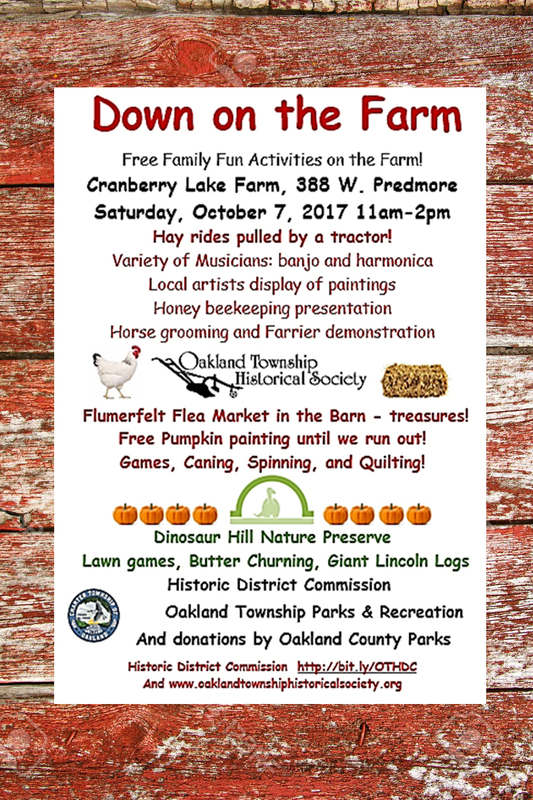 Please join the fun on Saturday October 7th for the “Down on the Farm” event planned by the Oakland Township Historical District Commission. The festivities will take place at the Cranberry Lake Farm located on 388 West Predmore from 11 AM to 2 PM. This entry was posted in Uncategorized on September 13, 2017 by richardjmichalski.